KATHMANDU, March 16: Prime Minister KP Oli on Friday expanded his cabinet by inducting 15 new ministers, including four state ministers, taking the total number of cabinet members to 22. 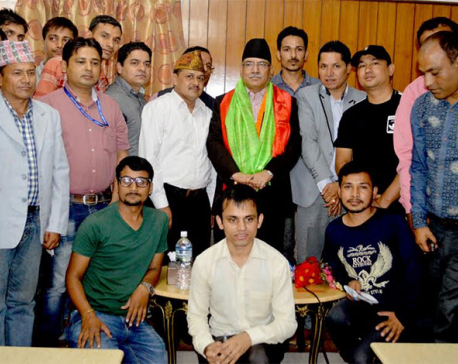 The prime minister inducted six ministers and three state ministers from his party, CPN-UML, and six ministers and a state minister from the CPN (Maoist Center). Similarly, the ministers inducted from the Maoist Center include Barsha Man Pun (Ministry of Energy), Giriraj Mani Pokharel (Ministry of Education, Science and Technology), Shakti Bahadur Basnet (Ministry of Forest and Environment) and Chakra Pani Khanal (Ministry of Agriculture, Land Management and Cooperatives). Ram Kumari Chaudhary (Ministry of Agriculture, Land Management and Cooperative) has been appointed as state minister from the Maoist Center. Earlier, Oli had appointed four ministers from the UML and two from the Maoist Center. Those appointed ministers in the first phase included Ishwar Pokharel (Ministry of Defense), Ram Bahadur Thapa (Ministry of Home), Matrika Prasad Yadav (Ministry of Industry, Commerce and Supply), Lal Babu Pandit (Ministry of Environment and Population), Yubaraj Khatiwada (Ministry of Finance) and Tham Maya Thapa (Ministry of Women, Children and Senior Citizens). Prime Minister Oli has transferred Lalbabu Pandit from the Ministry of Environment to the Ministry of General Administration on Friday. Minister Pandit during his last stint as minister for general administration had been applauded for his campaign against civil servants holding permanent residency in foreign countries. However, UML Secretary Yogesh Bhattarai, who also heads the party’s Publicity Department, could not be accommodated in the latest cabinet expansion despite Oli’s promise. During the election campaign in Taplejung, Prime Minister Oli had promised to make him minister if people in Taplejung voted Bhattarai to victory. The ministers appointed from UML on Friday are relatively new faces. Ministers Sunar, Adhikari, Mahaseth and Tamang and state ministers Aryal, Baskota and Budha are assuming ministerial positions for the first time in their political career. State Minister Aryal had defeated veteran Nepali Congress (NC) leader Gopal Man Shrestha in Syangja district. 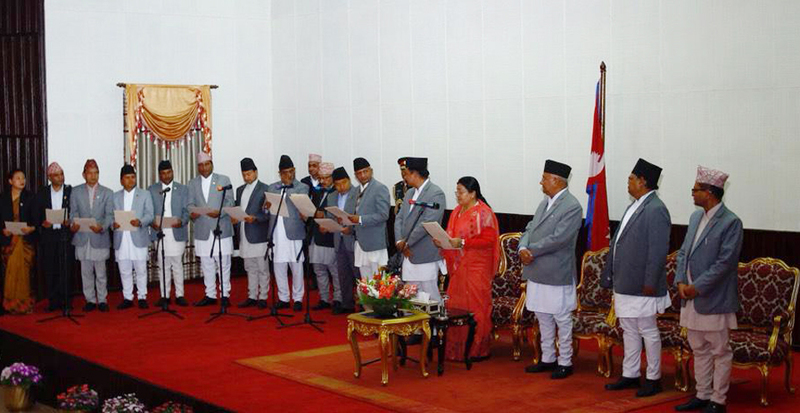 Earlier, Minister Khatiwada and Thapa were inducted to the cabinet as new faces from the UML. Khatiwada, who worked as economic advisor to the UML, previously served as governor of Nepal Rastra Bank. Similarly, Ministers duo Khanal and Magar and state minister Chaudhary are among the new faces in the cabinet from the Maoist Center. While Magar is the daughter-in-law of Maoist Center Chairman Pushpa Kamal Dahal, Khanal served as commander of the Maoist ‘people’s liberation army’ during the insurgency. Sources said Prime Minister Oli has kept for himself the Ministry of Health and Population and Ministry of Urban Development as the two ministries have been set aside for Upendra Yadav’s Federal Socialist Forum (FSFN), which has yet to join the government. Prime Minister Oli has promised three ministers including one state minister to the FSFN. Oli cabinet will get full shape only after FSFN joins the cabinet. Party insiders said Yadav, who is also joining the cabinet, could not become part of Friday’s expansion as the FSFN awaits a formal agreement on its demands including constitution amendment with the government. Differences have also surfaced in the party over its ministerial candidates. The party has made an understanding to send Chairman Yadav and leader Renu Kumari Yadav as ministers and Rajendra Shrestha as a state minister. A section of FSFN leaders is against sending Shrestha to the cabinet. UML leaders said the chances of the RJPN joining the government have diminished following Friday’s cabinet expansion. As per the new constitution, the number of cabinet members should not exceed 25. Given that the UML has already promised three ministers including one state minister to the FSFN, there is a slim chance for the RJPN, which had demanded at least three ministers, to join the Oli cabinet. The number of ministers in the Oli cabinet has already reached 22. Senior RJPN leaders including Mahantha Thakur and Rajendra Mahato had visited Baluwatar to request the prime minister to release Resham Chaudhary, the main accused in the 2015 Tikapur massacre who is currently in judicial custody, and allow him to take oath as parliamentarian, besides a pledge of constitution amendment. Earlier in the morning, the ruling CPN-UML and CPN (Maoist Center) had agreed to create three additional ministries to settle power-sharing deals among coalition partners. The number has now reached to 21 including the Office of Prime Minister and Council of Ministers. The number of ministries was reduced to 17 from the existing 30 ministries shortly after Prime Minister K P Sharma Oli assumed his office. A High Level Administrative Restructuring Commission had suggested keeping only 15 ministries including the PMO in the federal government. The then government, however, had decided to increase the number of ministries to 17 against the recommendation of the Commission. It is ironic that the Oli-led government, which pledged to exercise measures of austerity, has decided to further increase the number of ministries, putting additional stress on the state coffers. The newly-formed ministries include Ministry of Irrigation, Ministry of Youth and Sports and Ministry of Labor and Employment. The Ministry of Youth and Sports was formed after breaking down the existing Ministry of Education, Science Technology and Youths and Sports. Similarly, Ministry of Labor, Employment, Women and Children was broken to form a new ministry. All new ministers assumed office on Friday itself. 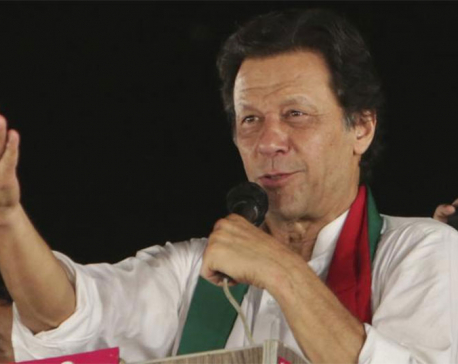 PAKISTAN, Aug 25: Newly-appointed Pakistan Prime Minister Imran Khan's cabinet enforced a ban on first-class air travel for top officials.